ELIZABETH CITY, NC - GM has recently announced how Chevy is making it harder to steal a vehicle with the new Theft Alarm Notification feature on its OnStar Stolen Vehicle Assistance program. 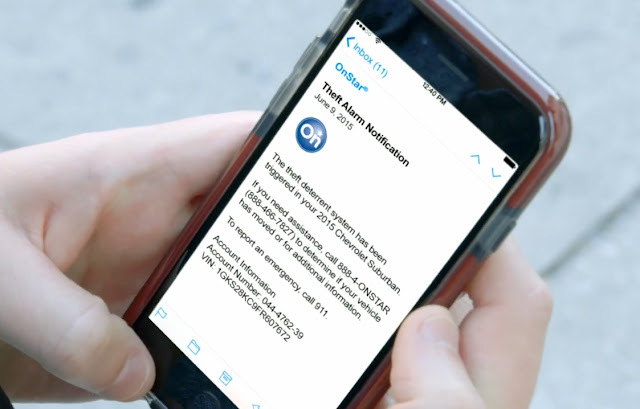 The new service will be available to eligible subscribers later this summer, and will help prompt a swift response from OnStar advisors and local authorities whenever a vehicle is stolen or broken into. This new extension of the Stolen Vehicle Assistance feature is only the most recent in a series of new updates to the system that include Remote Ignition Block and Stolen Vehicle Slowdown. With the new Theft Alarm Notification, subscribers can choose to receive alerts via SMS test, email or by phone if a theft attempt triggers their vehicle's alarm system and the alarm sounds. This new technology is currently an OnStar and Chevy specialized feature, and it is so exciting to see how Chevy is making it harder to steal a vehicle. The system is backed by glass breakage sensors, interior motion sensors and an inclination/tilt sensor, which will sound an alarm if the vehicle is lifted up off the ground, a break-in is attempted or if motion is detected within the vehicle when the system is armed.